In 2017, the percentage of Americans downing their daily dose of coffee every day grew to 41%, compared to just 9% in 1999, according to a survey done by the Specialty Coffee Association in 2017. They also found out that nearly half of all coffee that was consumed that year was consumed outside of the house. This only means one thing. Now is the perfect time to open a coffee shop. But while starting your own coffee shop business can look effortless on the outside, you need to do a lot of research and preparation to help you set up your coffee shop for success. One of the most important things you need to do as an aspiring coffee shop owner is to invest in the right equipment you need to brew the perfect cup of coffee and the perfect shot of espresso several times every day. Below is a comprehensive list of the most basic equipment you need for your coffee shop. Coffee lovers know that freshly ground coffee beans are crucial to making the perfect espresso shot. Since most of your items will be espresso-based drinks, from your cappuccinos, Americanos, and flat whites, an espresso grinder is important in ensuring you’re serving high-quality drinks to your customers. Grinders come in two types: blade and burr grinders. Always go for burr grinders. Unlike blade grinders, which have inconsistent results, flat burr grinders always come up with uniformly ground coffee. You don’t end up with coarser coffee grounds mixed with fine powder because burr grinders work by making flakes out of the coffee beans instead of shattering them like blade grinders do. Most grinders have settings that help you achieve the right consistency for your specific product, such as cold brew, french press, or drip coffee. Stepped grinders have a fixed number of settings you can choose from, while stepless grinders has no settings. Instead, they provide practically an infinite number of settings that allow you to customize your grind to your liking. Stepless grinders are what you need when you want to make finer coffee grounds for shot pulls and a slightly less fine grind for a fine drip. A good espresso machine must be reliable enough to produce enough espresso during the busiest times of the day. An espresso machine works using pressure to push hot water through finely ground coffee beans. This creates a thick, intensely flavorful drink that is stronger than standard black coffee. Commercial espresso machines may be semi-automatic or super-automatic. Semi-automatic machines have a motor-driven pump to build pressure and force water through the coffee beans. It has to be manually operated but doesn’t need a lot of training for staff to use it. It also allows plenty of room for flexibility with settings for changing the volume of coffee and the tamp pressure. On the other hand, super-automatic espresso machines eliminate the need for manual operation. These are also called bean-to-cup espresso machines because they take care of the entire espresso-making process, from grinding to tamping to pouring out the finished product. Some units also come with milk frothers for making cappuccinos and lattes. It only takes a couple of minutes for super-automatic machines to brew a batch of espresso and can easily move to the next batch. These are perfect for high-volume coffee shops that need to make plenty of espresso daily. While majority of your sales will likely come from espresso-based drinks, some 30% of your customers still prefer simple black drip coffee. You’ll need coffee brewers, also called automatic drip coffee makers, for that. Coffee brewers are simple and easy to use. You simply load the filter with coffee, place it in the brewer, add water, and push a button to start. For a small coffee shop serving 50 cups of regular coffee every day, one or two low-volume brewers should be able to provide the right volume. Medium-volume brewers can yield anywhere between 150 to 200 cups. For large coffee shops that serve more than 200 cups every day, go for large-volume brewers that can meet your demands. It pays to invest in a brewer that allows you to bloom the coffee grounds before brewing to release carbon dioxide left over during roasting. Self-serve coffee shops that need to brew large amounts of coffee can benefit from using satellite brewers and decanters. These work similarly to standard coffee brewers. However, they have the added advantage of being able to insulate high volumes of coffee for several hours. These brewers can brew into servers or decanters that work like large airpots, which are small, usually stainless steel, insulated containers that can keep a single serving of coffee warm for hours. Smoothie blenders are perfect for making frozen coffee drinks, which are especially popular during the summer. These blenders are different from traditional bar blenders, which aren’t equipped with the right blade that can make thicker, smoother drinks. Look for blenders with one thick blade as opposed to multiple thin blades. The thin blades are not designed for crushing chunks of ice used in blended coffee drinks and are prone to breaking. High-end models also let you vary the speed automatically to facilitate the returning of ingredients to the blades. The best smoothie blenders have variable blending speeds to accommodate blending of different ingredients. Coffee shops don’t have to miss out on revenue just because a potential customer isn't a coffee drinker. By offering tea, whether hot or iced, you can capitalize on a market that doesn’t consume your main product. If you decide to offer tea, you need tea brewers and dispensers for that. 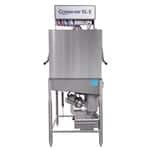 Some units provide a two-in-one solution that combines the brewer and the dispenser. Most commercial tea brewers work by having you pour tea into the water reservoir. You can then choose from pre-programmed time and temperature options to brew a large volume of tea. Look for a brewer that has a temperature lockout system. This keeps it from brewing until the water reaches the right temperature to ensure that you provide perfectly brewed tea. The tea can then be transferred to a dispenser, which can usually accommodate several gallons. Tea dispensers can be used by staff only in the back of house. Some models are also suitable to be used by customers in self-serve settings. A hot water dispenser provides a cup of hot water at a single push of a button. Commercial dispensers can contain anywhere from half a gallon, which can provide around 60 cups of hot water, to 3 gallons or more to provide 480 cups. Hot water dispensers have a heating element that heats the water up. Some models have a thermostat that allow you to set the water temperature and an automatic shutoff that turns off the heating element once the right temperature has been reached. Useful features you want to look for include a variable dispense mechanism so that you can fill containers of different sizes, and a stop button that lets the user choose the amount of water to dispense and keep their cup from overflowing. A water filter is also an essential feature because it removes unwanted minerals from the water and helps prolong the lifespan of the dispenser. Range– a range is a versatile cooking equipment that lets you do pretty much everything, including sautéing, frying, simmering, boiling, and stir-frying. If your range has an oven base, you can also do some low-volume baking on it. Griddle– a griddle has a flat cooking surface that is typically made of stainless steel and sometimes has a chrome plating. A griddle is great for cooking breakfast items, such as eggs, bacon, and pancakes, as well as burgers and sandwiches. Ovens – If you’re planning to offer a lot of pastries to go with your coffee, then you need a high-quality oven or two for that. There are many types of ovens. Standard ovens use heating elements to provide radiant heat for the baking chamber. Convection ovens have fans that circulate heated air into the cavity for faster, more even baking. If you’re a high-volume establishment that needs to provide a lot of baked goods fast, consider getting a conveyor oven. Reach-in refrigerators are a must in practically every coffee shop. These units are used for storing your ingredients, fresh produce, baked food products, and bottled drinks. Reach-ins store items so that you can reach into the cabinet to access whatever you need. Reach-ins vary in size and capacity. Low-volume coffee shops may do well with a 1-section refrigerator, but you can always invest in a 2-section or a 3-section reach-in if you’re anticipating a lot of growth in the near future. Most reach-ins are self-contained, which means they have the refrigeration system included in the box. 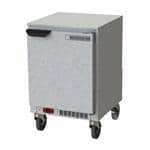 Some models have remote refrigeration systems that need to be installed away from the cabinet, typically in a different room or outside the building. Remote models are best for coffee shops with poor ventilation or those in very hot, humid environments. 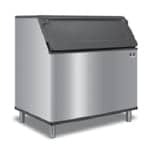 Undercounter refrigerators are small, compact refrigerators that can be easily tucked into narrow spaces, such as under the counter. Coffee shops with not a lot of kitchen space can use undercounter refrigerators to provide extra cold storage. They can also be placed under a countertop griddle so that cooks have quick access to ingredients while preparing dishes. Some undercounter refrigerators have stainless steel worktops where you can prepare food products. These come with back splashes that protect surrounding equipment from food splatters. Prep tables combine a refrigerated cabinet for storing ingredients and a worktop where you can prepare food products. The worktop is often made of stainless steel to provide a hygienic environment for your items. It also includes other accessories, such as a cutting board for slicing, chopping, and cutting ingredients, cold food pans for storing cut ingredients, and overhead shelves for extra storage space. Prep tables are ideal for preparing sandwiches. You can place sliced tomatoes, shredded greens, and cold meats in separate food pans, which you can then access immediately while making sandwiches. When you run out of ingredients, you can easily access new items inside the refrigerated cabinet and cut them up on the cutting board. Some prep tables have an insulated cover that you can pull down to keep the ingredients as fresh as possible during the slower times of the day. The FDA considers ice as food, and so do customers. Having a good ice machine or two will help you provide ice that can enhance the quality of your cold and frozen drinks. 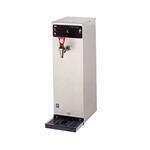 There are many types of ice machines on the market. There are also several kinds of ice that you can use. Modular ice machines, which are ice machines that don’t come with a storage bin or dispenser, can create full cubes and half cubes that work great for cold brews. They can also create flake ice, which is often used for blended coffee drinks. Some ice machines can make a special type of ice called nugget ice. These are small, irregular balls of ice made by compacting flake ice into tight, little balls. Nugget ice is soft, chewable, and easily retains the flavor of any drink it is used for. Many customers prefer nugget ice because of these properties so it pays to invest in a nugget ice maker for your coffee shop. 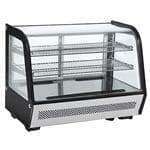 Display cases can be refrigerated or non-refrigerated. As their name implies, these are used to put your coffee shops product on display and attract more customers. Refrigerated display cases are designed to keep certain food items at proper temperatures. Dairy-based baked goods, such as cakes, pies, cheesecakes, and cookies with cream fillings, should be placed in a refrigerated display case. If you are selling bottled drinks, it may be worth it to invest in a glass-door refrigerator that can be placed behind the counter. For self-serve settings, a glass-door merchandiser allows customers to take a bottle themselves, which they can pay for at the counter. An underbar sink is ideal for cramped, narrow spaces where only a compact sink can be fitted. These sinks can be installed behind the counter where baristas can wash small, handheld tools such as espresso tampers and measuring spoons, or dump extra liquids from used cups. High-quality sinks are made from corrosion-resistant stainless steel that do not develop rust. They can have one or two drainboards where you can let glasses and small dishes air-dry after washing. Some sinks also include a back splash to keep surrounding equipment dry. A 3-compartment sink are larger than underbar units. These have three compartments that can handle a variety of tasks. For example, one compartment can be used for washing soiled dishes in hot water, the second compartment is used for rinsing washed dishes with hot water, and the third compartment is for sanitizing the rinsed dishes. 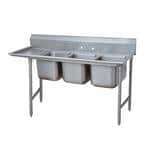 Some 3-compartment sinks also come with a drainboard for air-drying clean dishes. Keep in mind that 3-compartment sinks rarely come with a faucet attached. 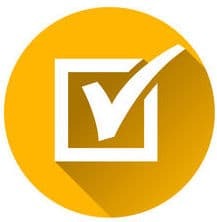 This allows you to choose a faucet that is right for your application. Unlike a home dishwasher, which completes a single cycle in 4 to 6 hours, a commercial dishwasher has ultra-fast, powerful cycles that can last in a couple of minutes. A coffee shop needs at least one commercial dishwasher to make sure that you always have clean, sanitized plates, cups, and tableware for your customers. There are several types of dishwashers available on the market. The unit you choose ultimately depends on how many dishes you need to be cleaned and washed every day. High-capacity dishwashers, such as large door-type dishwashers and conveyor types, can obviously take care of more dishes. These are more expensive and take up a considerable amount of space in your kitchen, but they are worth it if you’re a high-volume shop with quick turnover. Smaller coffee shops may do well with underbar dishwashers, which take up less space. Also, consider getting a special dishwasher called a glass washer. These are designed for washing delicate glass items, such as small espresso cups, because they have a gentle water pressure that will not break the items. Although glass washers can also wash bigger items, such as plates and saucers, they are not made for cleaning heavy items such as pots and pans. Disposable coffee cups and lids are used for to-go orders. These come in a variety of sizes, ranging from small 4 oz. cups to extra-large 24 oz. cups. Disposable cups can be made from plastic, polystyrene, or paper. Plastic cups are often made from heavy-duty PET that can hold up cold drinks such as smoothies and frozen coffees. Polystyrene, better known by the brand name Styrofoam, provides plenty of insulation for hot and cold drinks. However, polystyrene is a controversial material because of the harm it contributes to the environment. An alternative is to use biodegradable paper cups, which are more environment-friendly than plastic or Styrofoam cups. For serving hot coffee on-the-go, paper cups with a corrugated wrap can help keep your customer’s hands cool as they hold the cup. Lids are typically made of plastic because plastic is better at creating a tight seal around the cup and prevents leakage. Some lids have tiny holes for sipping or for venting out the hot steam. Coffee sleeves are known by a variety of other creative names, such as coffee cozies, coffee clutches, paper zarfs, hot cup jackets, and coffee collars. These are cylindrical pieces of paperboard that is used to insulate a cup of hot coffee, tea, or chocolate to keep your customer’s hands from burning when they hold the cup. Because they’re made of paper, coffee sleeves can be easily customized with your brand colors and logo. They make great marketing material, especially since customers ordering to-go get to walk down the street and display your brand and logo inside their own homes and offices for their family, friends, and coworkers to see. Straws are useful for cold drinks, while stirrers are needed when customers want to add milk or sugar to their coffee. Straws can either be straight or bendable for extra convenience. Stirrers, on the other hand, come in different widths for different drinks. Some stirrers have stoppers. Customers can insert them into the sipping hole in a coffee cup lid to keep the coffee from spilling while they’re rushing to work. You can also order customizable straws and stirrers to display your coffee shop’s name or logo. Most straws and stirrers are made of plastic, usually polypropylene. However, the call for more sustainable businesses has led to some coffee shops, notably Starbucks, moving to more eco-friendly alternatives. Biodegradable paper straws are one alternative, but these tend to become soggy very quickly. Some coffee shops, especially those whose brands hinge on providing environment-friendly products and services, offer stainless steel straws that can be washed and used again. Customers find paper napkins useful for wiping up small spills or drips at their table. You can have paper napkins customized by having your coffee shop’s name or logo printed in one corner of the napkin. It’s also useful to invest in napkin dispensers for each table so that customers touch only the napkins they will use. Coffee filters are used to hold coffee grounds in the coffee maker as water passes through them. these are made from semi-permeable paper to allow water to pass through the filter. Before purchasing a filter, look at your existing brewer. This will let you know the size of filters you need. You don’t want to use small filters when your coffee maker can accommodate a larger volume of coffee grounds. Also, go for thicker coffee filters. While thinner filters are more affordable, they allow water to pass thoroughly more quickly. This negatively affects the brewing process and imparts an unpleasant flavor on your coffee. Thicker filters are more expensive, but the price difference is not very noticeable. They also do not affect the flavor of your coffee in the same way that thinner filters do. Plastic spoons, forks, and knives are take-out essentials. They are useful for customers who order pastries, salads, and other light food items to-go. Customers order take-out for the convenience of not having to prepare their meals. By adding disposable flatware to their order, you are providing another level of convenience because customers don’t have to clean up much after eating. Most people don’t realize it but coffee is 98% water. You need to pay attention to the quality of the water that you’re using in the same way that you want to use only the finest-quality coffee beans and teas. Installing a water filter for your equipment is the best thing you can do to ensure that you’re using high-quality water. A filter helps improve the taste, aroma, and even the appearance of your coffee. It also ensures that your equipment are free from lime, scale, and mineral deposits that compromise their performance and cut their lifespan short. When choosing a water filtration system, consider the quality of your municipal water. Poor-quality, hard water will need more intensive filters that use reverse osmosis to get rid of deposits. These filters push the water slowly through a membrane to remove around 95% of all dissolved solids. Coffee shops with okay-quality water may do with a mechanical filter or a carbon filter. Mechanical filters use a filter media, such as sand, to remove sediments in the water. They’re often used as a pre-filter and paired with carbon filters. Carbon filters are used to minimize the amount of chlorine and other organic compounds while keeping certain minerals, such as calcium and magnesium, that can bring out the best flavors of coffee.